Luke-Acts is a two-volume history of the penetration of the world by the Word of God. At the beginning of Luke, Jesus is “a sign that will be spoken against” (2:34). 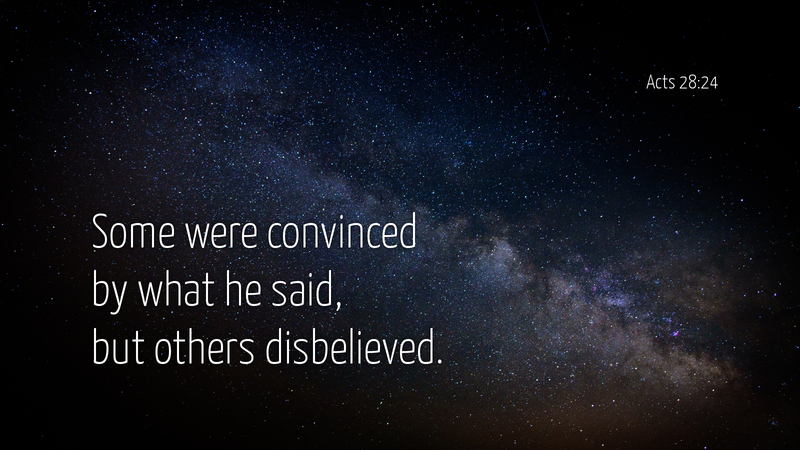 By the end of Acts, believers are “everywhere… spoken against” (28:22). This means the plan has worked. The Church is truly proclaiming Christ; else why would we everywhere encounter opposition? “Everywhere” includes your nation and town. If you are being spoken against, the universality of resistance to the word offers strange comfort. Stereotyping us as close-minded, bellicose, timid, unscientific, and judgmental, people insist Christians are the problem. Really, all 2.2 billion of us? No, the universality shows it is Jesus who is everywhere being spoken against. The world’s problem is him. We proclaim Christ. Then step out of the way so the world can have its problem with him. The world fears facing him at Golgotha where the sign that is spoken against becomes the sign that speaks against. “You killed the Author of Life,” says the penetrating word (Acts 3:15). “Yes, Lord,” confesses the Church, reaching its hand in love to the world. Prayer: Jesus, have mercy on all who hear. Amen.